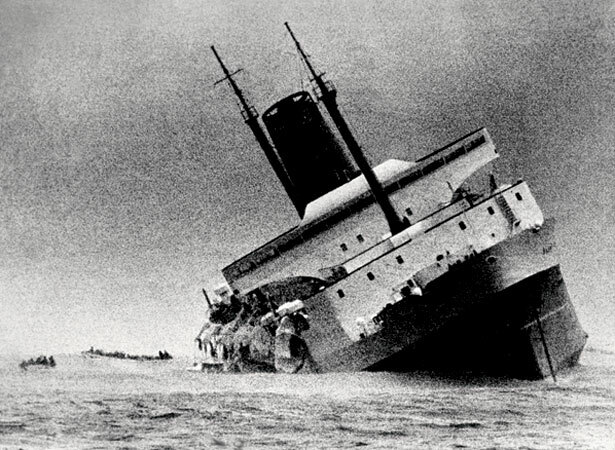 Would-be rescuers stood helplessly on beaches as the Wahine succumbed to one of the worst storms recorded in New Zealand history. Driven onto Barrett Reef, at the entrance to Wellington Harbour, the ship lost its starboard propeller, and then power to its port engine. The 8,948-ton vessel drifted further into the harbour before listing to starboard. Because of the heavy list, crew could only launch four of the eight lifeboats, and most of the inflatable life rafts flipped in the savage seas. Although the main cause of the accident was the atrocious weather conditions, the court of inquiry found that some of those on board the ferry and on shore had made errors of judgement. We have 2 biographies, 12 articles, related to Wahine wrecked in Wellington Harbour.